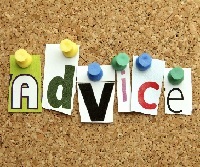 1) Think of a topic you would love to have someone else's viewpoint/advice on. Random examples are: 'How to work out what I should do as a career'; 'How to get someone to notice me'; 'How to be more motivated and organised'; 'How to lose weight once and for all' ... anything you like! 2) Wait until the swap deadline. Once you get a notification to say it's time to start swapping, click on the 'Rate your partners and coordinator' link to see who will be sending you their advice letter. You are not giving them a rating at this point; you are just looking to see who will be writing to you. 3) Click on their username to access their profile and send them a message via swap-bot to tell them what topic you would really like advice on. Choose just one topic and be as specific as you'd like. At the same time, have a look at the 'See the partners you send to' and keep an eye out for that person's message/topic in your own inbox so you know what to write in your own letter. 4) Send your advice/experience/tips to your partner in a letter at least two sides of A5. Your job is not to be a counsellor but to make suggestions and share your own experiences/what you've learnt. You might even want to suggest some relevant podcasts, books, websites, songs, movies, etc which might help them with their topic. 5) Don't forget to put the name of the swap and your username at the top of the letter. If you want to include any washi, stickers, etc to make them smile, that's fine but not a requirement of the swap. Newbies are welcome with a well filled-out profile. Average rating must be at least 4.98 with no recent unexplained 1s or 3s. Don't be afraid to message me with any queries and I will angel anyone who gets flaked. This is an experimental swap. If people enjoy it and find it useful, I'll happily do more of these. What a fascinating swap! Love the idea.